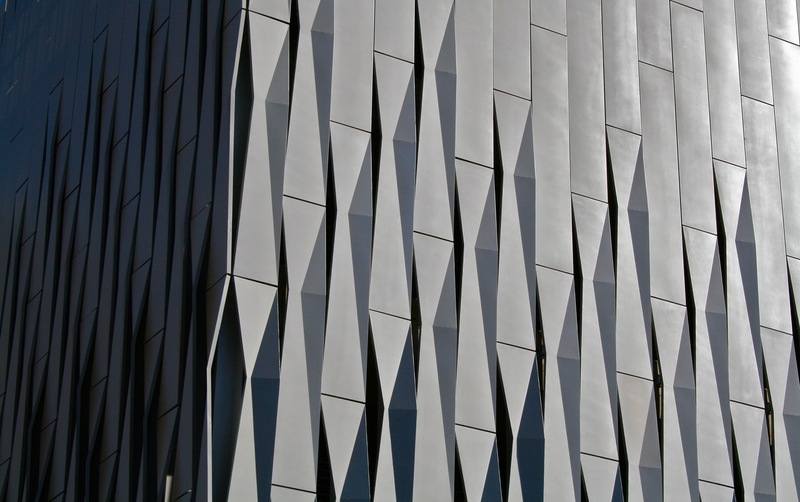 A substantial portion of Richmond’s newest high-rise office building utilizes a handsome, albeit intimidating skin of aluminum. 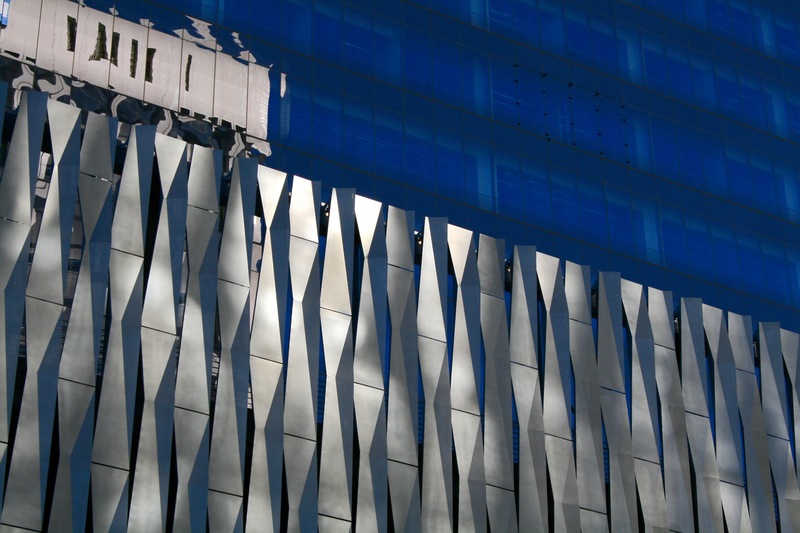 The “expressed vertical mullion fins… provide shading from the sun and further enhance the many energy benefits of the building”, according to builder Clayco. Handsome, artsy and cold. 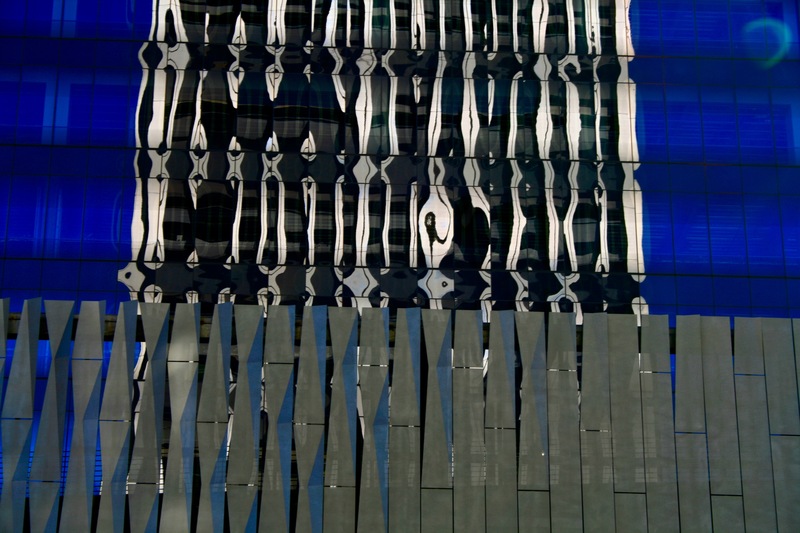 Okay, these photos were taken in early February, but the sun can only shine on one side of the building at a time. The architect’s renderings illustrate a bright, reflective facade. Sited at the north end of the Manchester Bridge, it’s an interesting paradox that the building is named “Gateway Plaza” – as in gateway to downtown Richmond. Welcome to our fortress.